MK Roofing Group are Firestone stockists. Small Residential Flat Roofing applications require a specific roofing installation system. Firestone RubberCover EPDM Roofing System is the ideal solution for small residential flat roofsand other extensions, verandas, dormers, porches, garages, carports, garden sheds, balconies, gutters and trailers. You name it. 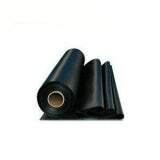 Firestone Rubbercover 045 1.14mm thick in a large range of roll widths, We can cut to suit the size of your roof. 3.05m, 4.57m, 6.1m – We will cut to size same day! Please remember to allow for up to 200mm rubber membrane each side of the roof for overhang and up walls etc. Under tiles and other features may require more rubber membrane.